‘Flight Attendant Life’ is a digital destination and aviation lifestyle brand that exposes a world unlike any other. Discover the thoughts, feelings, loneliness, goodness, unexpected, and wonderful— directly from the perspective of those gypsy, jet-setting professionals. With over 9+ years experience in all facets of Flight Attendant Life— from domestic turns for an American based airline to international long haul flying for a European company, as well flying as a private cabin attendant— Kara’s experience, curiosity, passion, work ethic, and authenticity fuels her forward. In addition to flying and blogging, Kara leads and manages a digital marketing agency that specializes in the luxury travel market. Kara is an avid kiteboarder, avocado toast lover, and appreciator of exceptional coffee. Currently, she splits her time between Los Angeles, California and Copenhagen, Denmark— or wherever the wind takes her. As a well-known Instagrammer, Meghan has been featured by ‘The Points Guy’ in addition to receiving over hundreds of thousands of views on her YouTube Flight Attendant Career videos. When not flying, Meghan enjoys cooking, reading, photography, and maintaining a healthy lifestyle while constantly on-the-go. Meghan has lived all over the country but currently calls Los Angeles, California home. MyKayla is a small town girl turned professional nomad. She grew up in the Northwoods of Wisconsin; always curious about what else was out there. She earned a degree in journalism and hauled her life out to the plains of Wyoming for a newspaper job, and then to the cornfields of Iowa for a digital content gig. When MyKayla realized the desk life might not be for her, she remembered the career she had written down on her "dream job" outline for an exercise back in her sophomore year of high school. She was going to become a flight attendant. After months of research (much done on this very website), applications, interviews, rejections, and even more interviews; MyKayla got a job with a U.S. Mainline Carrier. She is currently based in Chicago. MyKayla finds this career to be a rewarding and a genuinely authentic way to make a positive difference in this world. She adores her airline, her passengers and the shenanigans she and her fellow crewmembers get into. The lifestyle allows her to continue her wandering ways and live the nontraditional, unpredictable life she's always dreamed of. MyKayla loves laughing, libraries, tacos, spending quality time with her boyfriend and cat, having layover and nonrev adventures, and writing at Wanderlust & Pickup Trucks. 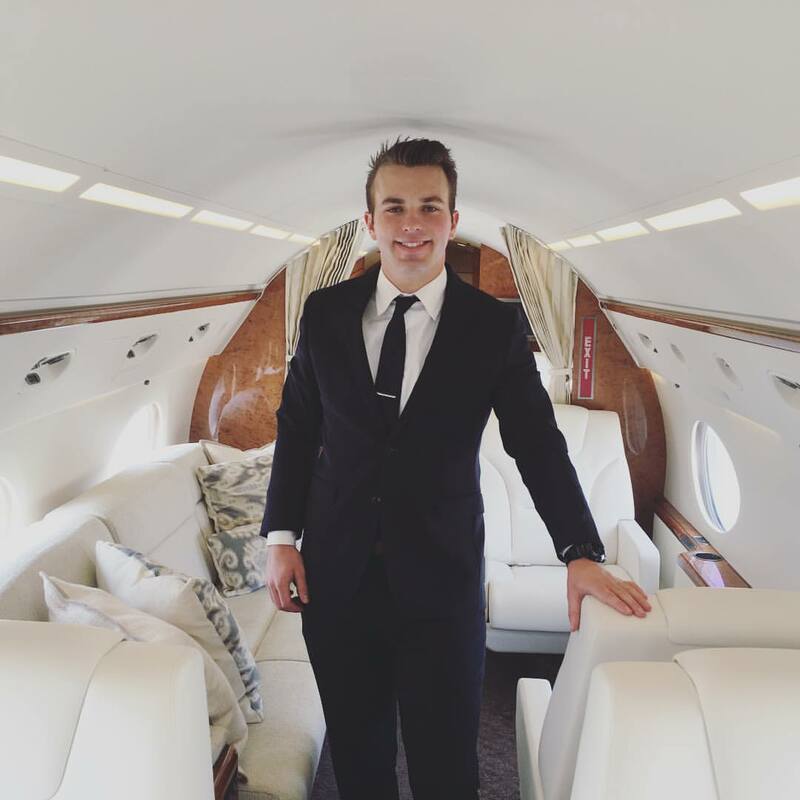 Griffin Bruehl is a successful aviation professional and passionate entrepreneur with extensive experience in both commercial and corporate aviation. He unabashedly pursues his goals with dedication and discipline; hoping to inspire others to do the same. Find Griffin directly at The Journey Of A Young Gun where he can be reached for business and lifestyle coaching. Currently, Griffin resides in New York City, but much of his time is spent at 41,000ft. Celessa got her start in the aviation industry puddle-jumping around the Midwest for a regional carrier and quickly began documenting her adventures via her blog: The Everyday Jumpseater. After an exciting few years as a regional flight attendant, Celessa began a career working for a major airline on the West Coast. When she's not jumpseating around the world, Celessa is taking it slow, enjoying farm life with her husband in beautiful Bellingham, Washington. Accepting contributing writers, content creators, and guest submissions.